Marina di Carrara, Italy- Ignazio Bonanno, helmsman ITA 416 La Superba and his crew are the winners of the 2011 J/24 Italian National Championship, finishing second overall at the National Open Championship J/24 held in the waters of Marina di Carrara in Tuscany from June 2-5, 2011. 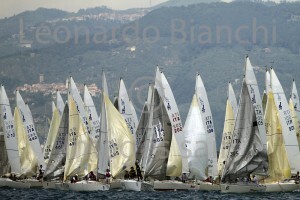 The regatta also served as the fourth leg in the national circuit for 2011. Bonanno closed the championship with a flourish, winning the last two races sailed to finish the championship with 39 total points. Second went to the President of the Italian J/24 Class, Mariolino Fraietta, owner and helmsman, ITA 460 Straight Botta (LNI La Maddalena) and his crew of Luca Montella, Gianluca Cataldi, Diana, and Ezio ” the local expert , “the Luca Carrara Machiarini (3,7,4,5,6,11,1,4, -12 -, 5 and 46 points.) Third place (formerly second last year) went to 501 ITA Avoltore with the help of the head of Fleet Argentario, Massimo Mariotti, and skippered by Francesco Fulvio Cruciani Cruciani with, Godfrey Albatros Russian and Turkish (5,14,9,-OCS-, 3,1,3,3,4,8 and 50). Podium touched, but also awarded President of Marina di Carrara, CN, Emilio Cucurnia, and the Director of the Sports Club and Secretary of the Zone II Fiv, Sergio Del Nero, ITA 202 Tally Ho (LNI Santa Margherita) reinforced by Roberto Banfi, skippered by Francesco Bertone Michael Malandra, Fabrizio and Matteo Reboli Milan (6,2,6,12,5, -13 -, 12,7,8,4 and 62 points). The first absolute position of the Open Table is, however, went to the Brazilian champion (J/24 World Champion in 2006, ’07 and ’09), Mauricio Santa Cruz BRA 37 Bruschetta, who has committed even Paul Boido (JBoats Italy) for the Brazilian champion and his team, already winners of the previous three stages of the 2011 National Circuit, five early day, two second, third and DNS in the tenth and last event. The other day victories have been signed by ITA J 479 Diamonds reinforced by Claudio Buiatti (AVP Percoto) who finished sixth overall and the fifth Italian Cup, Avoltore ITA 501, ITA 460 and ITA 416 Straight Botta Superba.Primo The race between the crews Carrarini ITA 212 Jamaica armed by Peter Diamond, Chief Fleet in the Gulf of Poets: for him an eighth place overall and seventh among the blue crew (2,4,19,2,8,7, -23,19,15 and 99 points). For the three local boats, bearer of the Club Nautico Marina di Carrara (Ita 92 The son of two rabbit Alfarano Henry, ITA 481 coccoi Riccardo Pacini and Franchi-ITA 200 of Bugliani) respectively 19 °, 29 ° assoluto.Nel a 35th place during the closing ceremony were also awarded the first female crew (ITA 262 Tecnolav SK ITAineering, Claudia and Robert Speziale, Barbara Cao, Catherine Usala, Daniela Meloni, and Daniela Irma Zolfino Deplano – YC Marinara) the team from further away (SWE Reborn 330 Marianne Schok) and twenty-eight women in all races on different boats. Very positive balance J/24 National Championship Open that with its forty crews confirmed the enthusiasm and the continued growth Class: “To be monotypes we want the numbers,” said President Fraietta during the ceremony “and our Italian classes with over 180 members, with a high number of boats present on all major race courses, is and showed them. This championship very well organized, has definitely confirmed the positive period of a Class widespread and appreciated throughout the world. I am very pleased, not just the result of my team but especially for the hospitality and organization of the Circle Carrara.” “I never thought that crews would behave so properly to the end “said the Chairman of Protests Massimo Scarpa, assisted by Giuseppe Mario Tornabene Lallai and “our continued presence in water has certainly helped, but all behaved very well, respecting rules and opponents.” “Excellent organization, means the height, good racing, beautiful Fleet good class, and many good starts in order: I really enjoyed it. 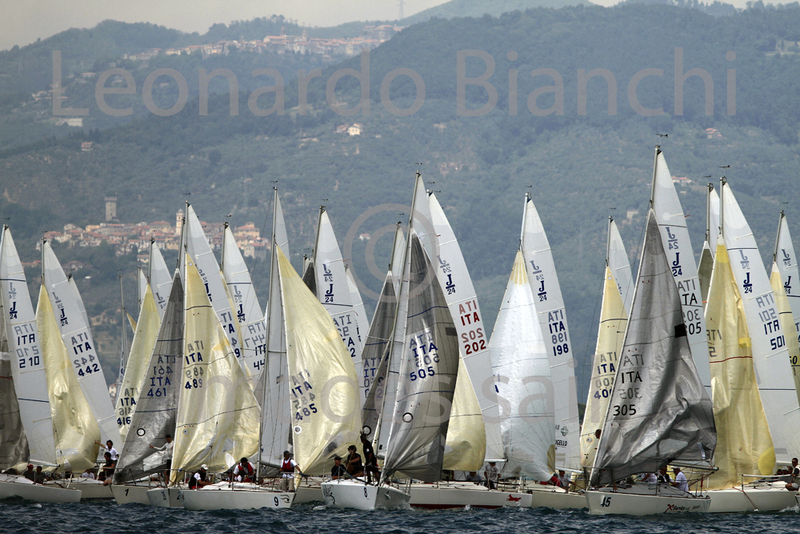 “was, however, the comment of the President of the Race Committee Luigi D’Amico ITAaged in four days of racing with Valentina Anguilles, Max Luna, Sergio Del Nero, Richard Alessandra Incerti.Il and President of the Club Nautico Marina di Carrara, Cucurnia, he finally wanted to thank the contestants, their escorts, all who have labored for the success of the event in the water and on land, and members who have worked Championship (IGF Marble, The Marble Fiorino, Benassi Trucking, Franks Marmi, Tirrena Expedition, Living Furniture and AutoNieri) which has the patronage of the Municipality of Carrara, the Municipality of Massa, the Province and the Coni.I forty-J/24 (ten in most of the last edition), representing the twelve Italian fleets ( Argentario , Northern Adriatic, Garda, Lake Como, Romagna, Anzio Nettuno, Puglia, Rome, Sardinia, Gulf of Poets) and four foreign teams (Brazil, Sweden and Monte Carlo) were able to play regularly every ten trials of the program characterized by steady wind and almost summer days.